What is life really like for the elite athlete? How does the experience of being a professional sports person differ from the popular perceptions of fans, journalists or academics? Why might elite sports people experience mental health difficulties away from the public gaze? 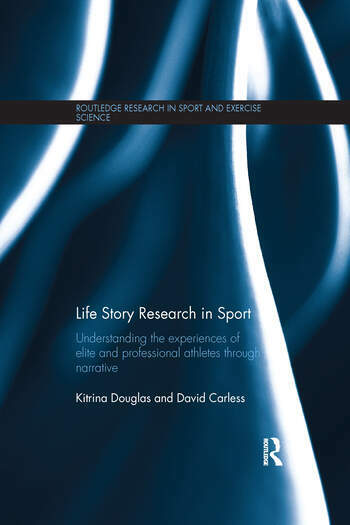 In the first book-length study of its kind, Kitrina Douglas and David Carless present the life stories of real elite athletes alongside careful analysis and interpretation of those stories in order to better understand the experience of living in sport. Drawing on psychology, sociology, counselling, psychotherapy and narrative theory, and on narrative research in sports as diverse as golf, track and field athletics, judo and hockey, they explore the ways in which the culture of sport interacts with the mental health, development, identity and life trajectories of elite and professional sports people in highly pressurised and sometimes unhealthy environments. By casting light on a previously under-researched aspect of sport, the book makes a call for strategies to be put in place to minimise difficulties or distress for athletes, for support to be tailored across the different life phases, and highlights the potential benefits in terms of athlete well-being and improved performance. The book also considers how these important issues relate to broader cultural and social factors, and therefore represents important reading for any student or professional with an interest in sport psychology, coaching, sport sociology, youth sport, counselling, or exercise and mental health. Kitrina Douglas is Director of the boomerang-project.org.uk, an ambassador for the National Co-ordinating Centre for Public Engagement (NCCPE), a member of the National Anti-Doping Panel for Sport, has a visiting fellowship at the University of Bristol, UK and a .2 contract at Leeds Beckett University. She played elite and professional golf for twenty years, was British amateur, English Open and twice European Masters Champion. For a decade she was a member of the BBC’s 'Radio five live' award winning outside broadcasting team.